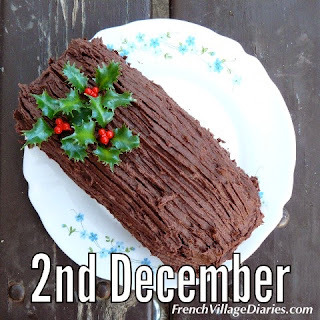 The bûche de noel or yule log is a traditional French Christmas dessert. It is a genoise sponge that is filled, rolled and iced with chocolate buttercream and decorated to look like a log. I gave this a go a few years ago and if you fancy a chuckle you can read all about it here, let’s just say it wasn’t as easy as I thought but at least anything covered in chocolate always tastes good. If you missed my previous post you can catch up with A here. Don’t forget to pop back tomorrow for the letter C, it’s going to be one of my favourite treats.